This article is about the Columbus campus. For other uses, see Ohio State University (disambiguation). Not to be confused with Ohio University or University System of Ohio. The Knowlton Hall, home of the Architecture School, was designed by Mac Scogin Merril Elam from Atlanta along with WSA Studio from Columbus, Ohio. The Ohio State University is among the top 12 U.S. public research universities and 3rd among all universities in industry-sponsored research (National Science Foundation). It is also named as one of the most innovative universities in the nation (U.S. News & World Report) and in the world (Reuters)). In a 2007 report released by the National Science Foundation, Ohio State's research expenditures for 2006 were $652 million, placing it 7th among public universities and 11th overall, also ranking 3rd among all American universities for private industry sponsored research. Research expenditures at Ohio State were $720 million in 2007. In 2006, Ohio State announced it would designate at least $110 million of its research efforts to what it termed "fundamental concerns" such as research towards a cure for cancer, renewable energy sources and sustainable drinking water supplies. Undergraduate admissions to Ohio State are classified as "more selective" by U.S. News & World Report and The Princeton Review and according to the data are the most selective for any public university in Ohio. 67% of incoming freshmen in autumn 2017 were ranked in the top 10% of their high school class. The average GPA at Ohio State is 3.81, the middle 50% range of ACT scores is 27-31 (average 29) , while the middle 50% SAT scores (Critical Reading and Math only) is 1260–1450 (average 1344)Ohio State's freshman class has included at least 100 National Merit Scholars for nine of the last ten years. Ohio State was among the first group of four public universities to raise a $1 billion endowment when it passed the $1 billion mark in 1999. At the end of 2005, Ohio State's endowment stood at $1.73 billion, ranking it seventh among public universities and 27th among all American universities. In June 2006, the endowment passed the $2 billion mark. The Office of Student Life also oversees the operation of the RPAC. The RPAC is the main recreational facility on campus and offers over half a million square feet of recreation, aquatic, fitness, and meeting space. The RPAC features two on-campus dining locations, a 50-meter competitive pool, 12 wood courts, 10 racquetball courts, 4 squash courts, a four-lane jogging/walking track, five multipurpose rooms, and 27,500 square feet of fitness space. is also inside of the RPAC. The Wellness Center within the RPAC offers services such as nutrition counseling, financial coaching, HIV and STI testing, sexual assault services, and alcohol and other drug education. The Outdoor Adventure Center (OAC) is another recreational facility on campus. The OAC features the Tom W. Davis Climbing Center with a 4,000-square-foot, 35-foot tall climbing structure and bouldering cave. The OAC also has an outdoor equipment rental office and a trip-planning resource center. Wireless access throughout the campus, with over 12,000 access points spread through the campus. In June 2018, The Ohio State dissolved its Sexual Civility and Empowerment unit and eliminated four positions in the unit due to concerns about mismanagement and a lack of support for survivors of sexual assault. This occurred after the unit was suspended in February 2018 and following an external review. The Columbus Dispatch and the school newspaper, The Lantern reported that "[SCE] failed to properly report students’ sexual-assault complaints" and that some victims were told that they were "'lying,' 'delusional,' 'suffering from mental illness,' 'have an active imagination,' that they 'didn’t understand their own experience' and also 'fabricated their story.'" With help from the Philadelphia law firm Cozen O'Connor, the university will be creating a new framework to handle sexual assault cases and reevaluating its Title IX program. Ohio State is rated at the #3 most amazing student union (Best College Reviews). The Ohio Union was the first student union built by an American public university. The Ohio Union is dedicated to the enrichment of the student experience, on and off the university campus. The first Ohio Union, on the south edge of the South Oval, was constructed in 1909 and was later renamed Enarson Hall. The second Ohio Union was completed in 1950 and was prominently along High Street, southeast of the Oval. It was a center of student life for more than 50 years, providing facilities for student activities, organizations and events and serving as an important meeting place for campus and community interaction. The union also housed many student services and programs, along with dining and recreational facilities. The second Ohio Union was demolished in February 2007 to make way for the new Ohio Union, which was finished in 2010. During this time, student activities were relocated to Ohio Stadium and other academic buildings. Ohio State operates a public television station, WOSU-TV (virtual channel 34/DT 38, a local PBS TV station), as well as two public radio stations, WOSU-FM 89.7(NPR/BBC news/talk) and WOSA-FM 101.1 (classical, "Classical 101") in Columbus. ^ As of September 21, 2018. "Endowment portfolio posts 7.7% return". Office of Business and Finance. 2018. ^ a b c d e f "Statistical Summary (Autumn 2018)". osu.edu. Ohio State University. Retrieved February 10, 2019. ^ "Ohio State Brand Guidelines". Retrieved June 6, 2017. 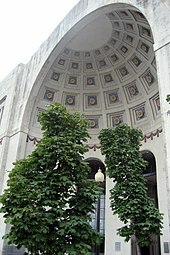 ^ "OSU's main library reopens today after three-year, $109 million renovation". The Columbus Dispatch. Retrieved January 17, 2018. ^ "Knowlton Hall, Austin E." Archived from the original on September 28, 2013. Retrieved September 15, 2014. ^ "Doctoral Programs by the Numbers". The Chronicle of Higher Education. Retrieved June 15, 2018. ^ "QS World University Rankings® 2017". Retrieved March 11, 2018. ^ a b c "Ohio State Quick facts". Ohio State University. Retrieved February 18, 2019. ^ "2017 Enrollment Report" (PDF). Enrollmentservices.osu.edu. Retrieved May 19, 2018. ^ "Ohio State University SAT Score Analysis (New 1600 SAT)". prepscholar.com. PrepScholar. Retrieved April 18, 2019. ^ "Ohio State University ACT Scores and GPA". prepscholar.com. PrepScholar. Retrieved April 18, 2019. ^ "National Merit and Achievement Scholars, 1995–2004" (PDF). National Association of College and University Business Officers. 2006. Archived from the original (PDF) on February 20, 2006. ^ "You are being redirected..." msmagazine.com. Retrieved July 20, 2018. ^ "Ohio State dissolves Sexual Civility and Empowerment unit". Ohio State dissolves Sexual Civility and Empowerment unit. Retrieved July 20, 2018. ^ Smola, Jennifer. "Ohio State closes sexual-assault center, fires 4 after complaints". The Columbus Dispatch. Retrieved July 20, 2018. ^ "Ohio State shuts down its Sexual Civility and Empowerment unit". The Lantern. Retrieved July 20, 2018. ^ Moser, Bob (July 18, 2018). "Rep. Jim Jordan Is Named in New OSU Sexual Abuse Lawsuit". Rolling Stone. Retrieved July 20, 2018. ^ "History of the Ohio Union". Archived from the original on December 3, 2014. Retrieved December 18, 2014. ^ "Forensics Team Wins State Champ". www.ohio.edu. Retrieved June 9, 2018. ^ "Word document of BuckeyeThon Constitution and Bylaws (March 2015)". ohiounion.osu.edu. The Ohio State University Office of Student Life. Archived from the original on September 27, 2016. ^ "Scarlet and Gray Sports Radio". Ohiostatesports.net. Archived from the original on September 15, 2007. Retrieved October 1, 2011. ^ "Student Governments". Archived from the original on December 8, 2014. Retrieved December 18, 2014. ^ "Athletic Directors' Cup Records". Archived from the original on February 7, 2009. Retrieved September 15, 2014. 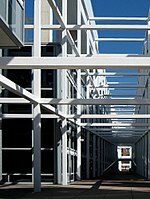 Wikimedia Commons has media related to Ohio State University. 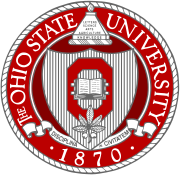 Wikisource has the text of a 1911 Encyclopædia Britannica article about Ohio State University. "Ohio State University" . The New Student's Reference Work . 1914. "Ohio State University" . New International Encyclopedia. 1905.